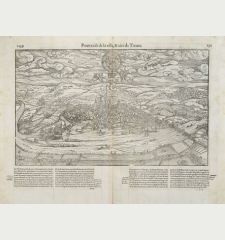 Antique map of Bad Hersfeld, Hesse. 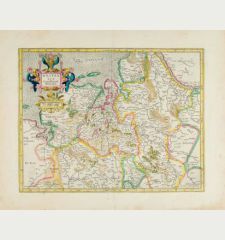 Printed in Amsterdam circa 1620. 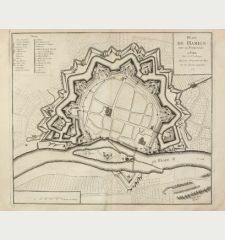 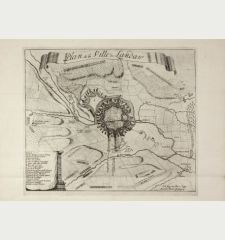 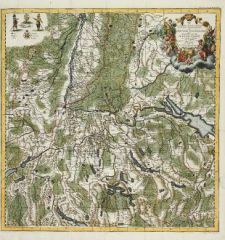 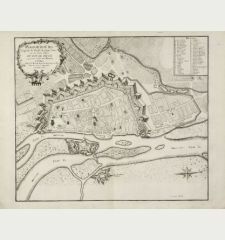 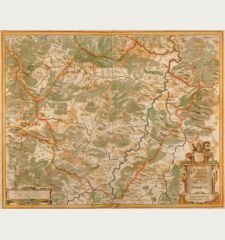 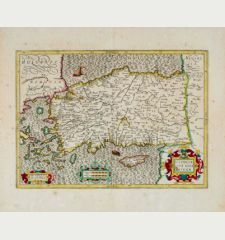 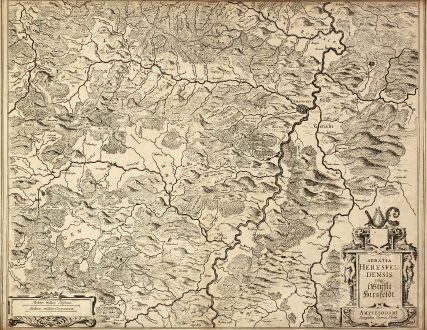 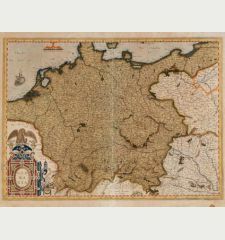 Engraved map of Hesse by H. Hondius. 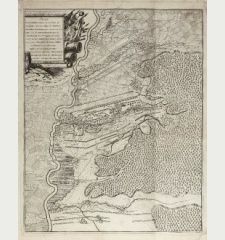 Showing the area around Bad Hersfeld between Unter-Wegfurt and Ludwigsau at the river Fulda in Hesse. 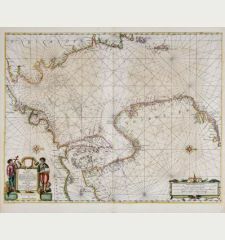 With one figural cartouche and a mileage scale. 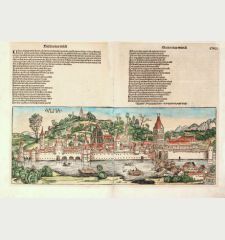 Without test on verso. 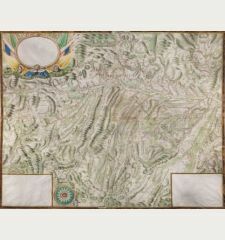 Upper and lower margin cut into the frame, otherwise fine. 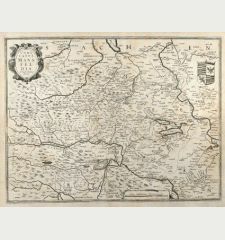 Jodocus Hondius born 1563 in Wakken (West Flanders). 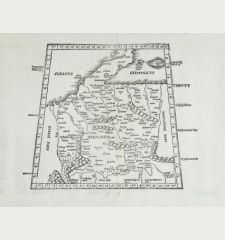 He became a globe maker and map engraver. 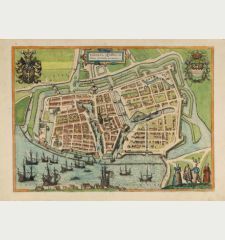 In 1593 set up his business in Amsterdam after he spent some years in London. 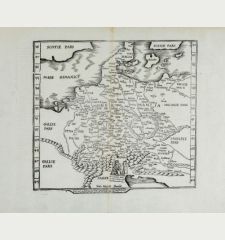 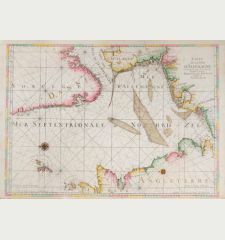 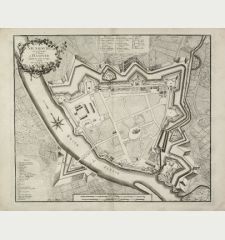 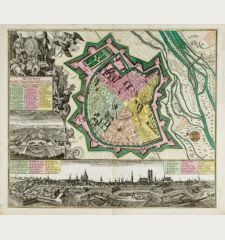 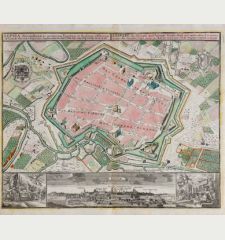 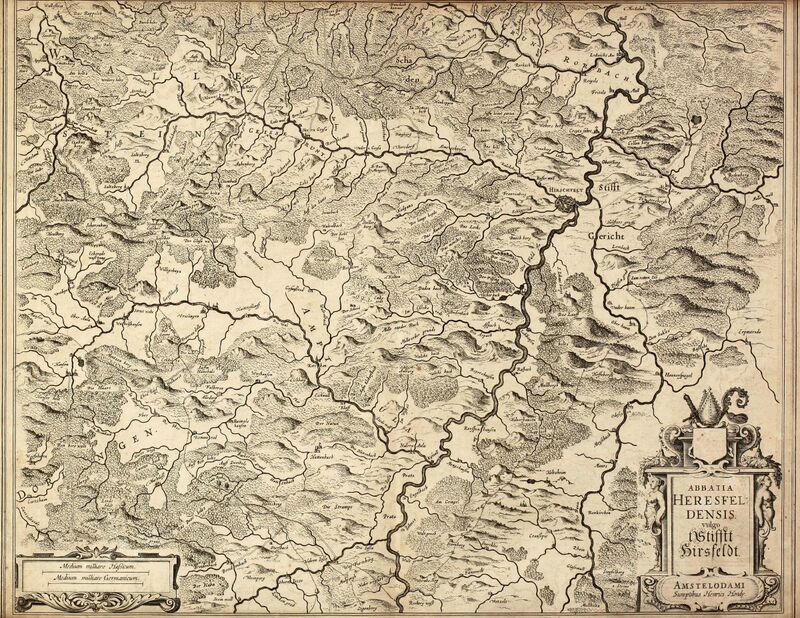 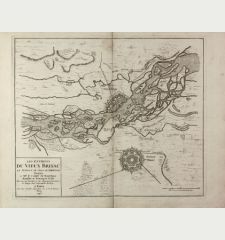 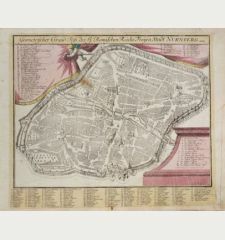 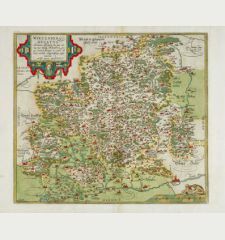 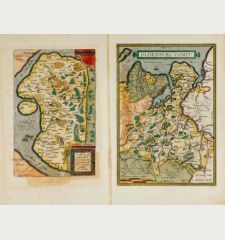 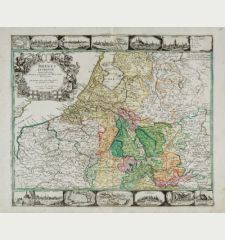 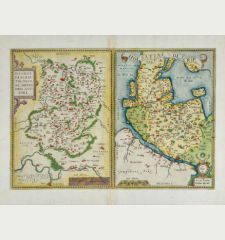 He was one of the most important engravers of his time and engraved maps for van den Keere, Waghenaer or Speed. 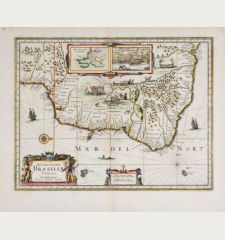 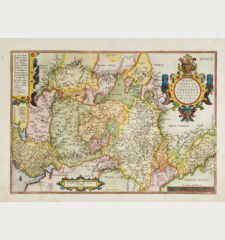 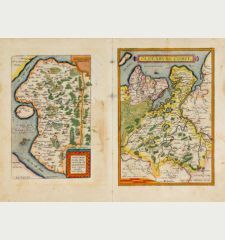 Hondius bought the plates of Mercator in 1604, added around 40 maps and published the Atlas first 1606 still under Mercators name. 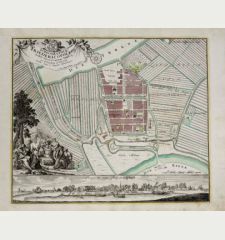 After his death 1612 in Amsterdam, the business was carried out by his sons Jodocus II and Henricus. 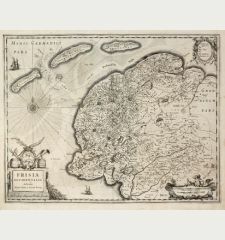 Jodocus Hondius: Abbatia Heresfeldensis vulgo t Stifftt Hirsfeldt. 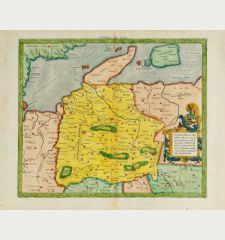 Amstelodami Sumptibus Henrici Hondy.